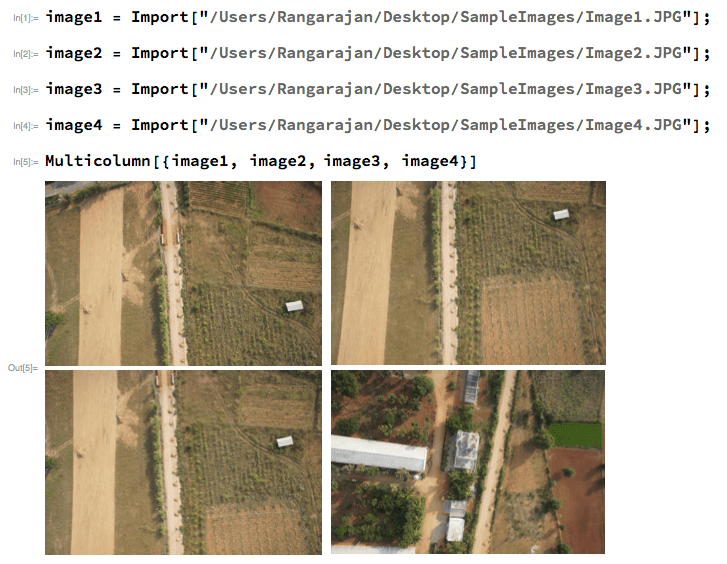 This is the third and the last in the series of articles on checking image overlap using Mathematica. The first technique we will consider today is the use of color histograms. The following image shows the histogram of image1. As you can see, there is a lot of similarity between the histograms of images 1 to 3, whereas image4 is noticeably different. 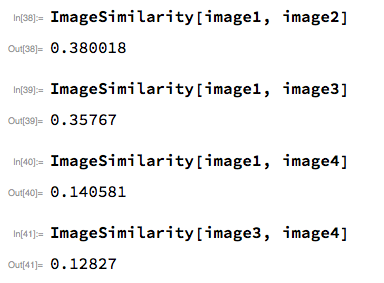 Similarity between two images now reduces to the similarity between two matrices. I wrote the following function to compute the similarity between two images. what I do here is to compute the ContraharmonicMean of the two histogram matrices, take the EuclideanDistance between the two and take its reciprocal. Finally I scale the value up so that the fraction is not too small. You can see that the value is 2-3 times higher when there is significant overlap, compared to when there is little or no overlap. Of course, we have to be careful when we use this approach because it is more like an an educated guess. 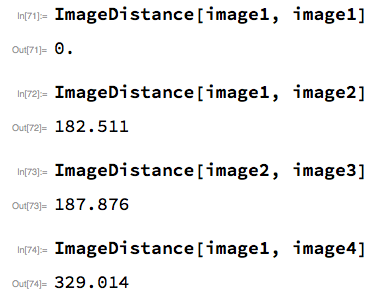 The last function we will consider is ImageDistance. This function computes the Euclidean distance (by default) between two images. When applied to our image pairs, we see that the distance between dissimilar images image1 and image4 is much higher than that between image1 and image2 or image1 and image3. This roughly points to the degree of overlap between the image pairs. This concludes my study of different techniques to determine the degree of overlap between two images. Hope you found the discussion useful.